Today’s economy is rising tide of expenses and debt for the average consumer. It seems to many that there will never again be a low tide where one can catch their breath before dealing with yet another increase or financial crisis. In previous posts, I gave several tips on ways to decrease your expenses and although we are soon starting a new year, those tips are still very pertinent today. We have moved forward in our sustainable living model with the addition of rabbits, bees, tilapia fish, and a large aquaponics setup, which have all helped in reducing our need on outside sources to live a comfortable, frugal life. I would like to take a moment to once again discuss the desire and need to reduce our energy consumption-initially to reduce our expense and be less dependent on outside sources, but since have noted how much a difference has been made in reducing our carbon gas emissions.We are taking our energy reduction one step further with the addition of a solar panel grid to our electric system. In the past decade solar power was an expensive venture to install and maintain, but in just the last few years many new innovations have made solar power a very affordable opportunity to the average homeowner. In just the past few months, thousands have contacted us to see how affordable solar energy has become. And with a completely FREE evaluation of the property, there is nothing to lose. Everything will be handled initially by phone and email, and only once you decide solar is the right choice will an engineer visit your home for an on site assessment and installation plan. The truth is, going solar may be one of the smartest things you can do as a homeowner because it can increase your home’s resale value. And as utility prices go up, your savings grow. There is nothing to lose and everything to gain by converting much of your power generation to green, clean, solar energy. Take just 30 seconds to request your no-risk consultation and you could be on your way to savings in your pocket, while making a huge difference on our environment. Currently available in limited markets, but quickly expanding, so if we are not in your market yet, check back soon. Want more information about how you can increase your income from solar? There were far too many ideas to put in the first post on saving in 2016, so here are a few more simple things you can do to save money while being eco-friendly. If you have a limited budget, start with the free ones and then try and add another step as you can afford them. In the long run, the savings will far outweigh the initial cost! Go Green to Save Green in 2016! ·Plant a vegetable, herb, or container garden. This will save lots of green and is a very green thing to do! · Plant deciduous trees on the east and west side of your house to keep sun out of house, thereby reducing AC bills. In the winter, the leaves will fall off the trees and allow the sun to come into the windows to provide warmth. · Shred paper (to protect against identity theft) and use it in the compost pile. · Start a worm bin with your kitchen scraps (vermicomposting) for use around flowers, herbs and vegetables. Save money not spending money on expensive chemical fertilizers that are not environmentally friendly any way. · Mulch, mulch, mulch. You can use things like leaves, grass clippings, straw and compost. · Collect rain in rain barrels to water the gardens. · Use the boiled egg water, water from the dehumidifier, or water that ran off your vegetables when cleaning them, to water plants. · Plant native plants for your area, they may need to be watered less. · Choose plants that can thrive with other plants with similar needs. · Plant for wildlife. Planting the right plant can attract birds, butterflies and bees. · Check out what the neighbor is putting in his trash too but check to see if they use synthetic chemicals. · Compost healthy garden wastes. 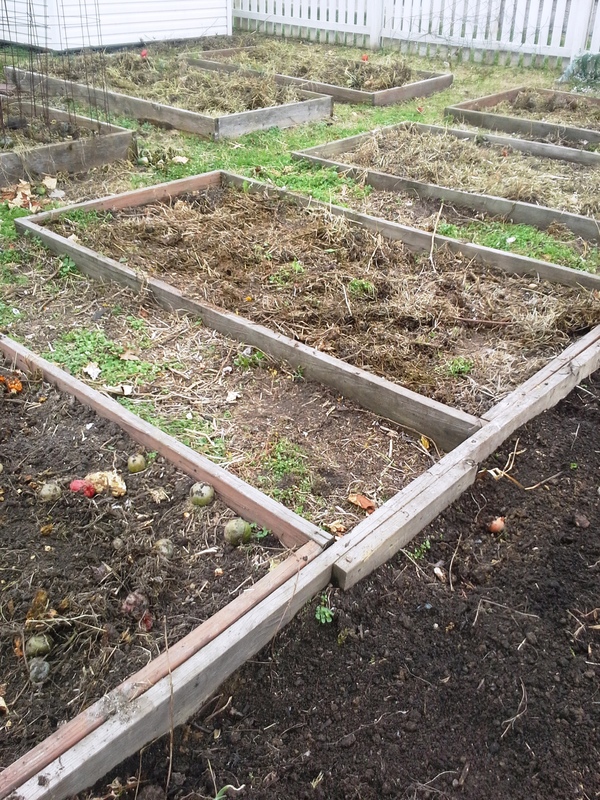 · Composting for fertilizer and increasing soil health is not expensive and very eco-friendly. · Composting attracts earthworms, so let them aerate and fertilize your soil. No need for tilling, the earthworms will do it for you. · Join a garden club for seed swapping or plant exchanging. · Control disease and pests through natural cures first. Last year I used the Cornell recipe for powdery mildew on my roses and it worked! · Water during the early morning to prevent diseases that spread when leaves are wet and to prevent evaporation during the heat of the day. · Mulch to suppress weeds and hold in moisture. · Use newspapers in your compost and also as mulch. Don’t use the shiny kind of papers just the dull paper. · Check with places like Craigslist or FreeCycle for things you need for the garden or other projects. Talk to your neighbors and friends. Remember to rethink, remake, reuse and recycle. Recently, I found things that I had been looking for the coming garden season. Of course my price had to be free and close to where I live. In the winter, people don’t want to get out because of the cold so the odds are greater that you can actually pick some of this unwanted stuff up. One neighbor saves coffee grounds and filters for my worm bin. The other neighbor redid her windows-so now I have old windows for some cold frames. On Craigslist.com I found bags of old leaves, old stakes and chicken wire for my peas, and 5 dozen Ball canning jars. Last year I picked up a bunch of old bricks for walkways for free. You can also find plants and flowers. I went and dug about 9 currant bushes for free. Also, picked up around the corner from where I live enough rocks to use around my new pond that I am building to encourage wildlife. All of these things were free, eco-friendly and will be reused or remade into something!!!! Bicycle or walk short distances instead of driving. Change your automobiles air filter every 10,000 miles can reduce gas mileage as much as 10%. Check your tire pressure once monthly. Drive the speed limit, the faster you drive the more gas your vehicle guzzles. Don’t accelerate and break swiftly, uses more gas. Remove luggage rack and bike racks. Don’t need to use premium fuel unless automobile manual states to use it. Turn off engine if you are idling for more than 30 minutes or more. Get a tune up and oil change as manual states. Change your fuel and air filter on your automobile as the manufacturer states for optimum efficiency. Use coupons for items that you would normally use. Some stores offer double or triple coupons. Be sure that the item you would have bought wouldn’t have been cheaper. Calculate savings using the price per smallest possible unit. Usually found below shelf item on tag-calculated ounce, pound, etc. Write up menu for the entire week before shopping. Stick to the menu and what you need for each meal. You can use items that were on sale that week for some of the meals. Don’t buy prepackaged foods, such as pre-cut lettuce. You will pay premium price for this. Plant a vegetable garden. This can save you lots of money and give you the assurance of how the food was grown. Plant fruit trees, and bushes. If you plant a garden, an economical way to preserve produce for all year would be to can, freeze, or dehydrate your food for later usage. Don’t buy your coffee out every morning, make your java at home- serve in a coffee travel mug. Recycle your printer cartridges. Many places like Staples Office Supplies will give you credit when you recycle your printer cartridges through them. Use the correct size pan on the stove for the cooking job, use lids when cooking. Make your own safe cleaners using baking soda, vinegar, and lemon juice. See our home section for some of these cleaning ideas. Don’t buy bottled water, buy a reusable bottle and fill at home. If you are concerned with water contaminants purchase a water filtration system. If you can think of ideas-feel free to add them in the comments! It is never to early to start thinking about plans for the next year. As 2015 winds down, lets gear up for saving in 2016. Here are a few simple things you can do to save money while being eco-friendly. If you have a limited budget, start with the free ones and then try and add another step as you can afford them. In the long run, the savings will far outweigh the initial cost! · Insulate electrical sockets on outside walls. · Turn off the lights when you leave a room to help reduce your electric bill. · Turn off anything with LED lighting, ie VCR/DVD, cable box,etc… Again, energy vampires. · Do not hold refrigerator or freezer door open for an extended period. · Close blinds or curtains on sunny side of house in summer to keep the sun from heating up the room, keeps AC from having to work harder. In winter, open blinds and curtains so sun warms the room, decreasing heating costs. · Seal leaks around the house. A common place to look is at the junction where the foundation and house meet. Also another place to look for is where the electric and plumbing come into the house. · Change all bulbs to CFL bulbs or LED lighting. · Change furnace filter every month to have furnace work efficiently. · Use Energy Star appliances when possible. · Use a programmable thermostat. · Turn down the thermostat. For every degree you turn it up or down you save money. In the winter, turn down the furnace. Wear shoes, socks, and a sweater. We program out thermostat to go down to 64 degrees at 9 pm when the grandchild goes to bed. Everyone can be warm snuggled under the covers! Also open curtains and/or blinds during the day to let the sun warm the room. · In the summer, turn air conditioner up and use a ceiling fan in the room you are in, when you leave the room turn off the fan. Close the curtains and blinds on the side of the room the sun will be shining into. This helps to keep heat out thereby reducing energy costs. · Caulk around your dryer vent. · Turn down water heater to 120 degrees. This can cut up to 5 % off bill with each 10 degrees that you lower the temperature. · Put an insulated wrap around your water heater. · Use a pressure cooker to cook things quicker, food is also healthier. · Give your digital clock away, use a wind up clock, or if you need an alarm what about your cell phone? · Weather strip and caulk around doors and windows. · Using the microwave is cheaper than using the stove or oven. · Cook with crock pot, pressure cooker, or microwave. · In the summer, arrange cooking so that you don’t use the oven and heat up the house. Use the grill as an option. · In the winter, when you use the oven when the food has finished cooking open the door so the room is warmed too. · Air dry dishes, don’t use the high heat drying cycle of the dishwasher. · Don’t put the refrigerator near a heating vent. · Keep temperature of the refrigerator about 34 degrees F.
· Keep the freezer temperature between 0-4 degrees F.
· Keep the refrigerator coils clean. Vacuum the coils every month for maximum efficiency. · Keep refrigerator a couple of inches away from the wall so coils won’t have unnecessary heat trapped. · Keep freezer full. If necessary use gallon jugs of water between grocery trips. Uses more energy to keep air in freezer at proper temperature than to keep solid items frozen. · In refrigerator compartment it is most efficient for the air to circulate around foods. · Turn off water, don’t let it run when brushing teeth or working in kitchen. · Put a brick or plastic bottle filled with water in your toilet to decrease the amount of water you use when flushing toilet. · Reuse your bath towel more than one time! Hang it up to dry and use for a few days to reduce the amount of laundry you have. This is for energy AND water savings. · Use the water that was used to boil eggs, cool it, and water your plants with the water. Utilize the water that will run down the drain, use it to water your plants or gardens. · Insulate at minimum the first 6 ft of hot water pipes from the water heater. · Use low flow faucets and showerheads. · Empty dryer lint trap before drying clothes. · Don’t wash small loads in the washer. Fill the machine to capacity to keep from doing multiple loads of laundry. · Line dry clothes whenever possible. · Remove laundry from dryer promptly, to prevent wrinkles and having to iron. · When drying clothes separate the lighter clothes from the heavy ones. Dryer will keep running until the wettest item is dry. · Wash clothes in cold water. Can save up to $63. a year for the average consumer. · Turn off the computer, printer, and fax machine when not in use. · Shred paper to prevent identity theft, use in compost piles. · Use a Smart Strip with all office equipment. Want more ideas, be sure to catch Part 2! If you can think of others-feel free to add them in the comments! The emphasis being placed on renewable energy in the world today has energized Google to help homeowners see the benefit of “going Solar”. The new site called Project Sunroof will help you determine if Solar Power is right for you. From the article: “Project Sunroof calculates how much sun hits your roof, the angle of your roof and sun-blocking obstructions such as trees and chimneys. The current coverage of the site is very small; only a handful of cities Nationwide. But you don’t have to wait for the site to expand before finding out how much solar can reduce that burdening electric bill. Get more information now-No cost or obligation. and be sure to read how you can become a solar rewards partner and earn $300 for every referral who chooses solar! Help the planet while helping your wallet grow! When I started in aquaponics, I had no clue as to the benefits that I was about to reap over conventional soil based gardening. Of the largest, I believe for me personally, was the conservation of water. My outdoor garden consists of 32 4 X 8 raised garden beds, full of compost, soil, and manure. Once planted, it is very necessary to watch weather forecasts as to the amount of coming rain. Natural rain water is good for the garden, but in recent years seems to have been lacking from previous years. I must supplement from the lack of rainfall, so my irrigation is running far more than I would like it to. My water bill in summer months can be as high as 4 times my winter bills! That seems funny since on the east coast, I am completely surrounded by water: living in between tributaries off the Chesapeake Bay. The world is mostly water, I believe about 70% of the surface is covered by water, yet useable, potable water is less than 2% without some form or filtration. Many land locked countries are screaming for a usable water source just to sustain their population. According to the United Nations, 31 countries are now facing water scarcity and 1 billion people lack access to clean drinking water. Water consumption is doubling every 20 years and yet at the same time, water sources are rapidly being polluted, depleted, diverted and exploited by corporate interests ranging from industrial agriculture and manufacturing to electricity production and mining. The World Bank predicts that by 2025, two-thirds of the world’s population will suffer from lack of clean and safe drinking water. Agriculture is a major user of ground and surface water in the United States, accounting for 80 percent of the Nation’s consumptive water use and over 90 percent in many Western States. It takes 1,000 tons of water to produce just one ton of grain. Utilizing my aquaponics systems year round, I use 90% less water than I would for an equivalent sized raised bed. Since the Aquaponic System reuses and filters the water in a constant cycle, I lose very little water. Actually the only regular water loss is due to evaporation. Evaporation causes me to replenish my tanks about 5% or less per two weeks. This is roughly 5-10 gallons per tank, a far cry less than leaving my irrigation system on to run full force for hours at a time each day of no rain. Also utilizing a water catchment system, rainwater can be used to replenish the tanks, causing NO excess water usage. I am trying to stay as sustainable as possible on our little 1/5 acre suburban homestead, It allows us to conserve vital planet resources like water, but in the long run keeps a little extra cash in my pocket as well. 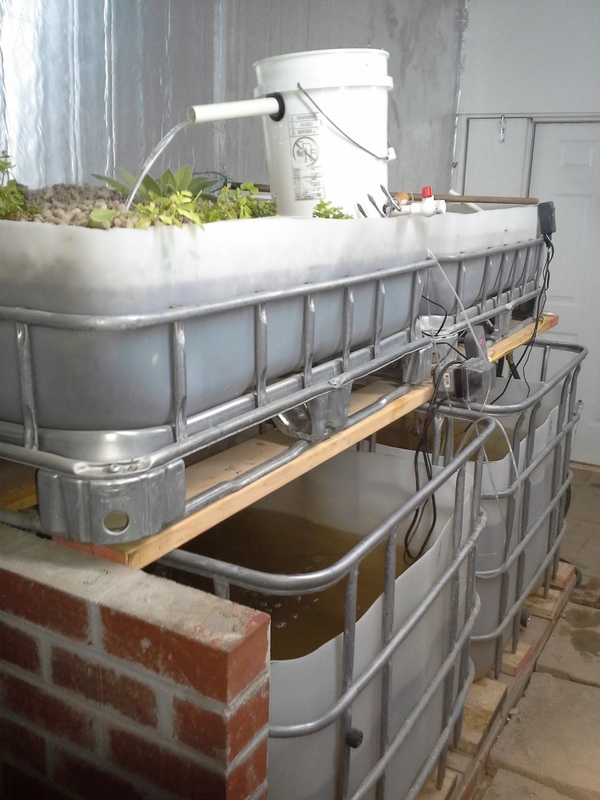 Want to learn more about aquaponics sustainable gardening and live in the Chesapeake Bay area? Check out the upcoming classes on aquaponics? Solar-See how affordable it is now! Washington, D.C.— In the face of global climate change, increasing the use of renewable energy resources is one of the most urgent challenges facing the world. Further development of one resource, solar energy, is complicated by the need to find space for solar power-generating equipment without significantly altering the surrounding environment. New work from Carnegie’s Rebecca R. Hernandez (now at University of California Berkley), Madison K. Hoffacker, and Chris Field found that the amount of energy that could be generated from solar equipment constructed on and around existing infrastructure in California would exceed the state’s demand by up to five times. It is published by Nature Climate Change. “Integrating solar facilities into the urban and suburban environment causes the least amount of land-cover change and the lowest environmental impact,” Hernandez explained.